Sometimes you just want to get some quick access to services and support. Similar to other carriers, Project Fi offers users the ability to dial short codes to access certain information and services. 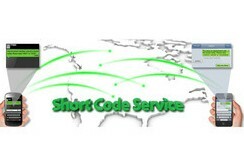 Below is a table of what what short codes are available and the corresponding service. Calls Telecommunications Relay Services which provides assistance to people with hearing or speech disabilities with making phone calls through an operator. Do people actually make phone calls nowadays? Sure - I am actually on the phone right now. Talking on the phone while blogging? That sounds counter productive.